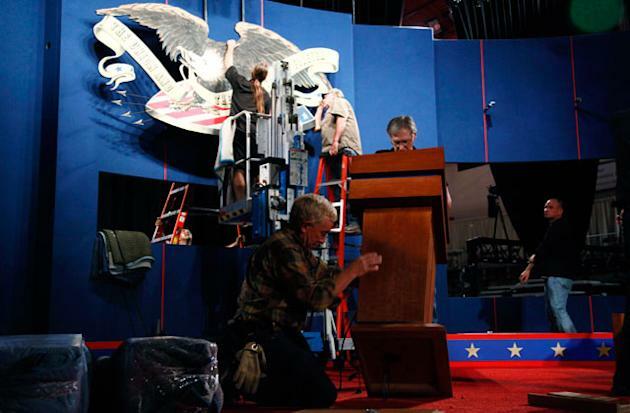 Ideally, when the curtain rises on the first presidential debate at the University of Denver on Wednesday night, President Barack Obama and GOP presidential nominee Mitt Romney will spar over the issues shaping this election with honesty and clarity. But let's face it, the debates are yet another chance to deliver campaign talking points in 60-second, uninterrupted bursts—pitches, according to a recent Y!/Esquire poll, which many Americans think stray from the truth. In anticipation of the spin, we've rounded up some of the debate's top topics and fact-checked the candidates' tropes in advance. - Bush-era income tax cuts and capital gains tax cuts become permanent. - All income tax rates are cut by an additional 20 percent. - The Alternative Minimum Tax and the estate tax are repealed. To paraphrase Bill Clinton at the DNC, the problem is arithmetic: While Romney denies this, FactCheck.org notes the idea that his plan can somehow "slash individual income tax rates without losing federal revenue or favoring the wealthy remains at best unproven and, in our judgment based on available evidence, impossible." GOP vice presidential nominee Paul Ryan recently had to dance around this fact when pressed on it by Fox News. Exasperated, he sighed and said, "I don't have time—it would take me too long to go through all the math." Romney should probably have a better answer ready—he's likely to be grilled on the plan thanks to his recently released 2011 tax return, which revealed a 14 percent tax rate. Obama has questioned whether that's a fair rate, claiming Romney pays less in taxes than many middle- and low-income Americans (a claim that itself is true only if payroll taxes are included in the comparison). The president will likely try to paint the 14 percent tax rate as an omen of things to come under Romney's plan, alleging that it would benefit the wealthy. 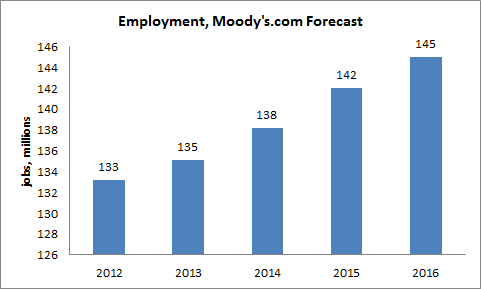 Romney: As soon as you hear the former Massachusetts governor assure you of his plan to create 12 million jobs in only four years, remember this: Moody's Analytics and Macroeconomic Advisors predict that no matter who wins this election, broader economic factors ensure that level of growth by 2016. Romney is dressing up an apolitical projected figure as something his jobs plan could uniquely generate. It's a bit like promising a plan to keep the Earth rotating around the sun for the next four years. Obama: The president, for his part, will take credit for creating an impressive "4.5 million jobs." He's playing a bit fast and loose to get that number, however: that figure is not the net increase in jobs since the beginning of his presidency. To declare the 4.5 million figure, Obama is only counting private-sector job growth since January 2010, which was the low point for the private sector. Factor in the job cuts to the public sector and the total jobs tally since 2010 becomes 4 million. But since he isn't counting from 2009, when millions of jobs were also lost, the figure is misleading: Obama has more or less broken even on job creation since taking office. Romney: The GOP's "Medicare raid" meme alleges that Obama is about to rob Medicare to the tune of $700 billion in order to pay for the Affordable Care Act (ACA). This line earned Ryan a storm of jeers at a recent AARP conference—but Romney may still try to float it for its sheer scare value. In fact, the oft-cited $700 billion figure represents the savings the ACA yields over 10 years by reducing Medicare spending, and it's chiefly the providers rather than beneficiaries who pony up to finance the long-term spending cut. Obama: If during the debate, however, the president starts bashing the "Romney-Ryan plan" on Medicare, claiming it costs seniors an extra $6,400, know that he's actually referring to the obsolete Ryan budget from 2011, not the plan backed by the Republican ticket. The actual plan shares the Democrats' goals of capping Medicare spending. Romney: Ever since the Supreme Court ruled the Affordable Care Act constitutional, Romney has backed off from his more hyperbolic criticisms of the law, now stating that he'll repeal it and keep the good bits. He has yet to say, however, how he'd pay for those select parts. Also during the debate, Romney will likely try to fuse Americans' concerns over jobs with lingering doubts about the ACA by repeating the old, standard line that "Obamacare" is "killing jobs in small business." As FactCheck.org notes, this line is a serious misreading of a report by the Congressional Budget Office, which actually says that due to the subsidies provided by the ACA, about 800,000 workers will retire earlier or juggle fewer jobs. Obama: The president is correct when he says that he "inherited the biggest deficit in our history," as he recently told Steve Kroft on "60 Minutes." But he tends to use that fact as a shield against any Republican criticism about his own contributions to the deficit, which are considerable. To both Kroft and the AARP he stretched the premise to its limit, claiming that all his policies, from the stimulus to the rebooted war in Afghanistan, account for only about 10 percent of the nation's deficit over the past four years. He blames the rest on President Bush. - In fiscal year 2009 Obama was responsible for adding at most $203 billion to the deficit, which in the end topped $1.4 trillion that year. But FactCheck.org reminds us that "this was just the first of four years of trillion-plus deficits." - The last three budgets fall squarely under Obama. And, during that time, the federal government ran up deficits of "$1.3 trillion in 2010, $1.3 trillion in 2011, and about $1.2 trillion in the fiscal year that ends Sept. 30—for a total of nearly $5.2 trillion in deficit spending," also according to FactCheck.org. Obama: The president likes to say he's "doubled" a lot of things, most notably the generation of renewable energy and, in the long term, fuel efficiency of cars and trucks—and is likely to do so again on Wednesday night. These boasts will sound great, but unfortunately for him, they're heavily exaggerated. Since Obama took office, only a certain division of renewable energy, that of wind and solar power, has doubled; overall, the increase in capacity is under 30 percent. And while the EPA is indeed raising fuel standards for increased efficiency by 2025, FactCheck.org has noted that, contrary to the president's rhetoric, our cars will hardly take us "twice as far" by that point. Romney: The GOP nominee has his own favorite talking points on energy, starting with his misleading claim about what the president has "doubled": gas prices. This statement is technically true, but should be qualified by the fact that prices were extraordinarily low when Obama took office due to the recession. Also hyped up is the nominee's talk about Keystone XL, the pipeline project to transport oil from Canada to plants in the Gulf Coast. The Romney refrain is that Obama botched a crucial energy project by wholly trashing the plans to import more oil from our neighbor to the north. What Obama did was delay the assembly of the northern part of the new pipeline that was set through Nebraska's Sandhills, and he did so with bipartisan support from the state's lawmakers. A new, more environmentally sensitive route is set to be approved in a few months, and the whole thing should be up by 2015. Romney: When the hot-button issue of immigration rears its head, be ready for the candidates to resort to political hit-and-runs. Romney is likely to toss out the charge that Obama "did nothing" to tackle immigration in his first three years. But while the Obama administration certainly hasn't reached a comprehensive plan, the president lobbied for the DREAM act—which would qualify undocumented youth for a conditional path to citizenship—while the Democrats controlled the House and was met with opposition once the Republicans took over. Romney might also complain that Obama's deferred-action plan—granting some children born in the U.S. to undocumented immigrants a reprieve from deportation—doesn't offer a permanent solution for aspiring immigrants. Yet in his own plan only young illegal immigrants who join the military would have access to that solution. Obama: Meanwhile, Obama may claim that during the Republican primary season Romney endorsed Arizona's controversial SB1070 law—requiring police to determine detainees' immigration status, some argue through racial profiling—and called the law a "model for the nation." But Romney was actually talking about Arizona's e-verify law, which more modestly requires employers to check a job candidate's immigration status on an online database.